Hi Guys! So I’m back with a new post, finally! Sorry for the lack of posts as my internet connection had serious issues co-operating with me! Anyways lets get into the post! 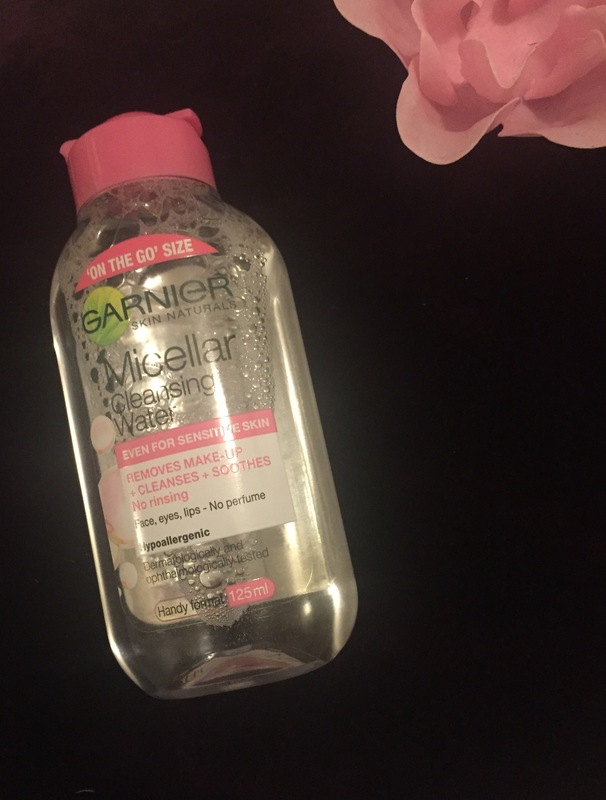 So today I’m going to rave about the Garnier Micellar water,I love this stuff! So I’ve seen so much hype about this and to be honest I thought it’s just like any other makeup remover, It’s not! As I got hold of this about only 2-3 days ago I can only give a brief review. So this is awesome to take of water proof makeup or any other! As most of you guys will know I love the ‘benefit they’re real’ mascara however it take me ages removing it, this water is literally perfect for removing mascara like the one mentioned or just generally just cleansing you’re skin! I’ve also got sensitive skin and on the bottle I’ve got it says it’s safe for sensitive skin and knowing it is hypoallergenic gives you that extra piece of mind! I mainly use this before I sleep and I was worried it would leave my skin oily the next morning, it doesn’t! So guys that’s it! I so recommend this to everyone! If you have any queries or suggestions be sure to contact me. « Lush Face Mask Review!